A truck loaded with 30,000 pounds of live lobsters from Nova Scotia crashed on I-95 in Benton Wednesday morning. 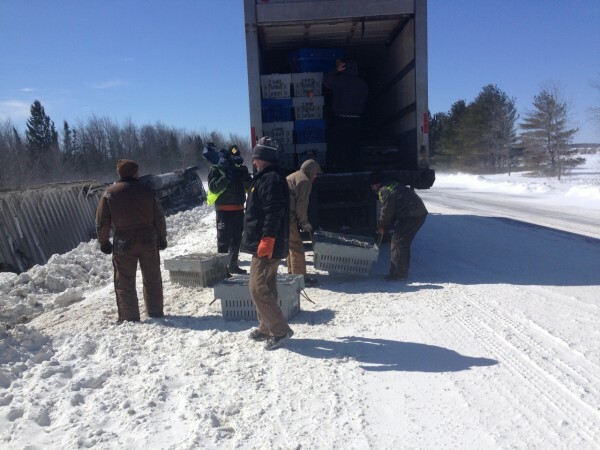 BENTON, Maine — A throng of live lobsters survived after a tractor-trailer hauling 30,000 pounds of them rolled off Interstate 95 early Wednesday morning, according to Department of Public Safety spokesman Stephen McCausland. McCausland said the driver, Horst Puff of Greenfield, Nova Scotia, was headed for New Hampshire and Rhode Island. McCausland said Puff swerved to avoid striking a car that had spun out in front of him around mile 135. 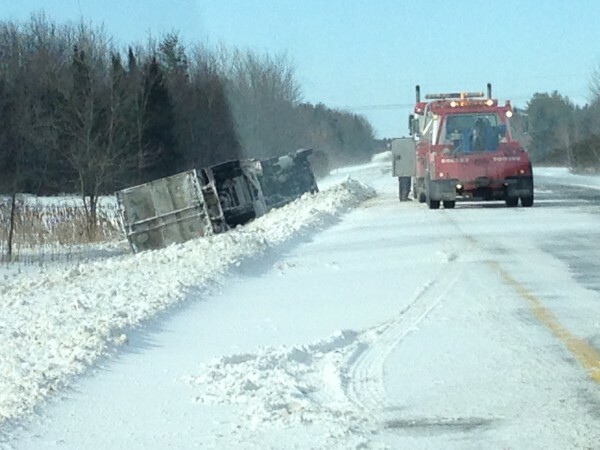 Puff was not injured and his rig, owned by Gerhardt Trucking of Riverport, Nova Scotia, wound up on its side. 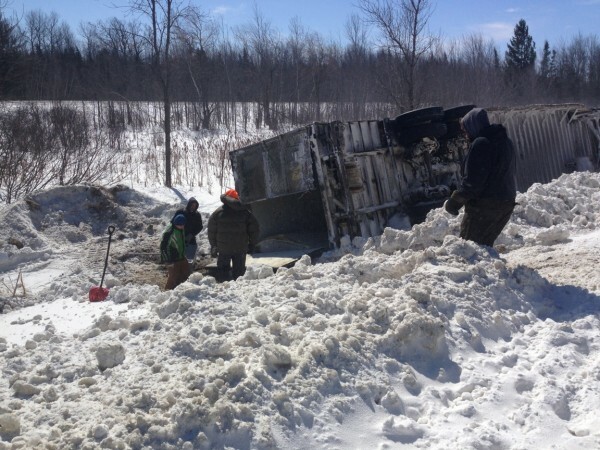 Trooper Joe Chretien told McCausland the cab and the trailer were damaged beyond repair and charges are not expected to be filed against Puff. Puff and his dog slept at a Waterville motel after the crash and returned to the site later Wednesday to oversee the transfer of the lobsters, McCausland said. Travel around the wreck site continues to be reduced to one lane.